Just after the Columbia Pike, we’ll approach I-395. 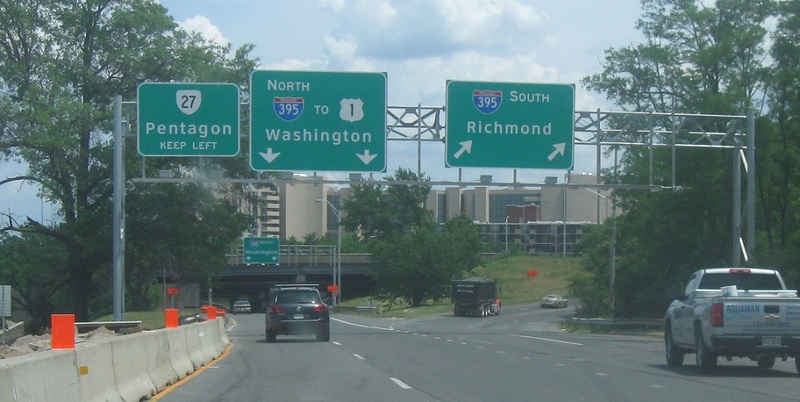 Exit for 395 south to Richmond. Keep left to loop around on 27 east to the Pentagon. 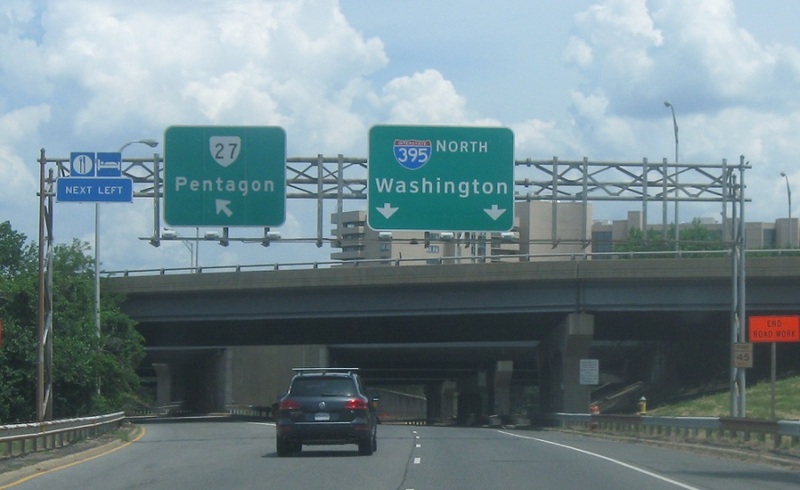 Keep right for I-395 north and left for VA 27 east.